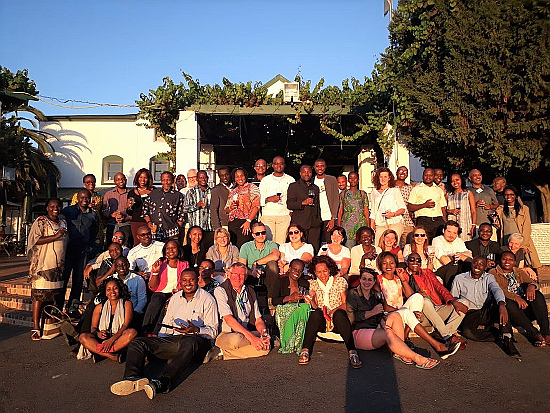 On 2nd December 2017 we celebrated the graduation of our Master students in Cape Town, who took part in the "Bochum Programme of Development Management" at the South African-German Centre for Development Research. Congratulations to all of you! 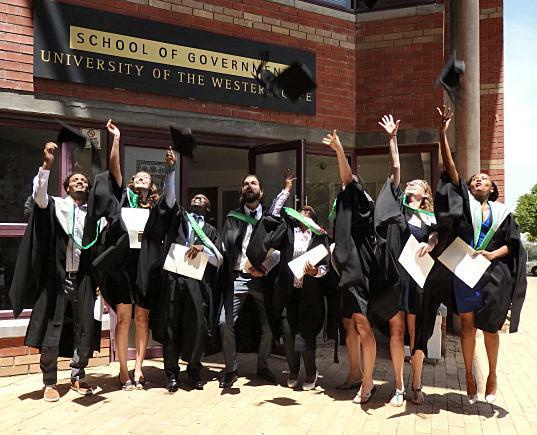 For South African Students the National Research Foundation (NRF) in partnership with the German Academic Exchange Service (DAAD) offers In-country Masters and Doctoral scholarships for postgraduate studies at South African Universities. 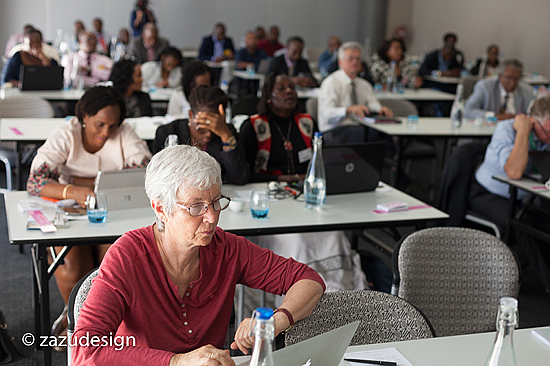 South African applicants for Master and PhD studies at the South African - German Centre for Development Research are encouraged to apply for such a scholarship parallel to their application at CDR. The deadline for joint DAAD/NRF scholarships is already 28 July 2017. In 2017 6 new Scholarship Holder commenced their studies at our Centre! 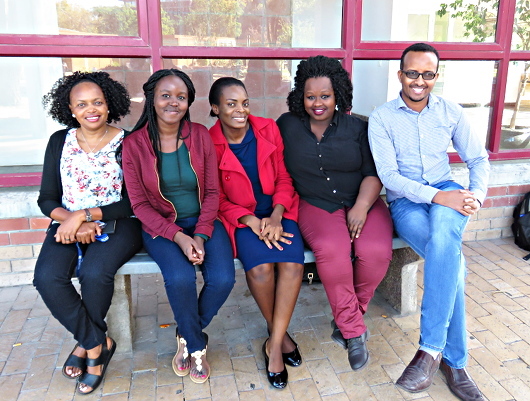 Out of 425 applicants the selection committee chose from left to right Irene Naymu (Kenya), Joy Mwaniki (Kenya), Linice Sanga (Malawi), Boniswa Gelese (South Africa) and Faisal Haginour (Somaliland) for a Scholarship. Fikrewold Yeneneh is missing on the foto. Our PhD Student Davison Muchadenyika again published a paper which is titled: Politics and the practice of planning: The case of Zimbabwean cities. It can be accessed here. Davison Muchadenyika, PhD candidate at CDR published a new paper titled 'Multi-Donor Trust Funds and Fragile States: Assessing the Aid Effectiveness of the Zimbabwe Multi-Donor Trust Fund'. Research for this paper was largely conducted during Davison worked on his Master thesis for the Bochum Programme of Development Management. In august 2015 the selection committee selected 4 Master and 2 PhD students out of 478 applications for a Centre scholarship for 2 (MA) respectively 3 (PhD) years. 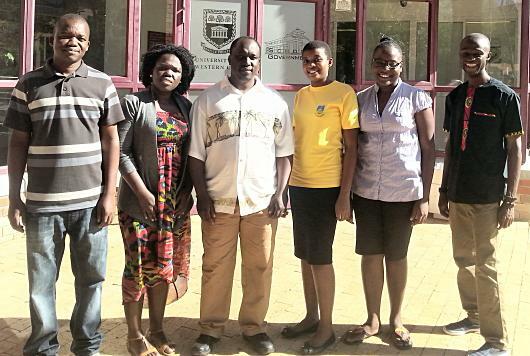 In January 2016 the 6 new scholarship holders commenced their studies at the School of Government and the Institute for Social Development (ISD). Foto from left: Samuel Kapingidza, Dorcas Okyere, Jeremy Waiswa, Metron Ziga, Phoene Oware and Evans Sakyi Boadu. 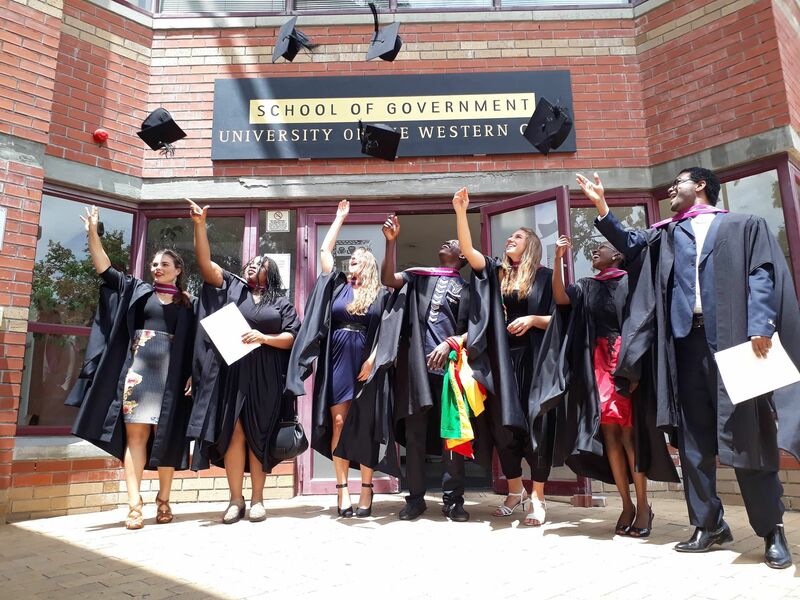 Evans Sakyi Boadu from Ghana was selected for the Master in Public Administration, whereas Metron Ziga from Zimbabwe, Phoene Oware from Kenya and Dorcas Okyere from Ghana started studying the Master in Development Studies. 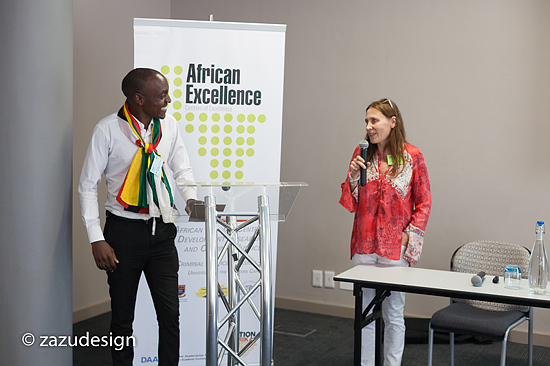 Jeremy Waiswa (Uganda) and Samuel Kapingidza (Zimbabwe) both started their research projects at ISD in order to obtain the PhD in International Development Studies. Welcome and 'Have a good time'! Muchadenyika, D. 2015. Land for Housing: A Political Resource - Reflections from Zimbabwe's urban areas. Journal of Southern African Studies, 41 (6): 1219-1238. Muchadenyika, D. 2015. Women Struggles and Large-scale Diamond Mining in Marange, Zimbabwe. The Extractive Industries and Society, 2 (2015): 714-721. Muchadenyika, D. 2015. Slum Upgrading and Inclusive Municipal Governance in Harare, Zimbabwe: New Perspectives for the Urban Poor. Habitat International, 48 (2015): 1-10. Alatinga, Kennedy; Williams, John J. (2015): Towards Universal Health Coverage: Exploring the Determinants of Household Enrolment into National Health Insurance in the Kassena Nankana District, Ghana. GIDS, Vol. 12, No. 1&2, 2015: 88-105. Graduation of our MADM students! 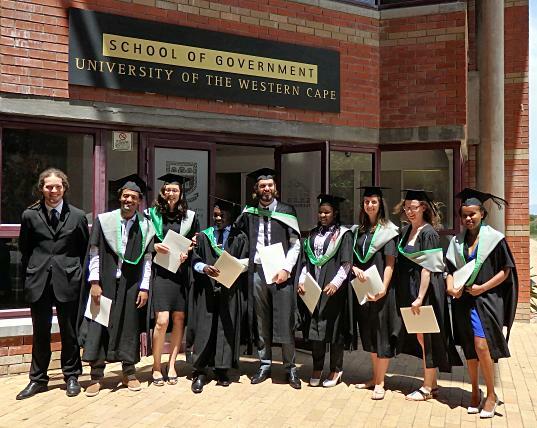 On 5th December 2015 we celebrated the graduation of our Master students who took part in the "Bochum Programme of Development Management" at the South African-German Centre for Development Research. 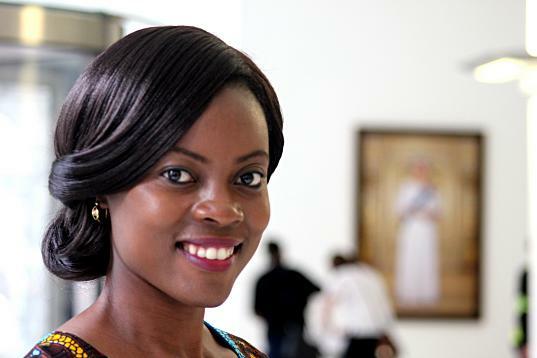 We are very proud of our former MADM student Chifundo Patience Chilera, who has been named one of 26 Africa's Most Outstanding Emerging Women Leaders by the Moremi Initiative for Women Leadership in Africa. As a 2015 Fellow, she will be attending the Moremi Initiative Leadership, Empowerment and Development Institute hosted jointly with the University of Ghana in Accra, Ghana, this July. This 2015 cohort of MILEAD Fellows, selected under a highly competitive process, represents Africa's most promising young women leaders with the courage and commitment to lead and shape the future of Africa. The criteria and process of selection was based on outstanding leadership promise, community service accomplishments and commitment to the advancement of women in Africa. Ms. Chifundo Chilera's selection is in recognition of her remarkable leadership and contributions to youth development in Malawi.